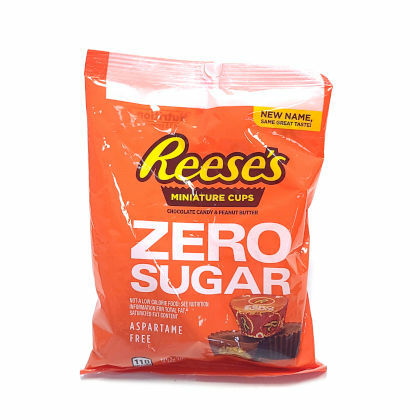 Sugar free Reese's Peanut Butter Cup miniatures. Approx.. 10 pieces per bag. Individually wrapped. Net weight 3 oz.